Brick officials say a measure introduced Tuesday night that creates a new “Village Zone” along three major Brick thoroughfares and allows mixed-use business and apartment properties will ultimately mean less residential development and fewer high-density apartment buildings in town. 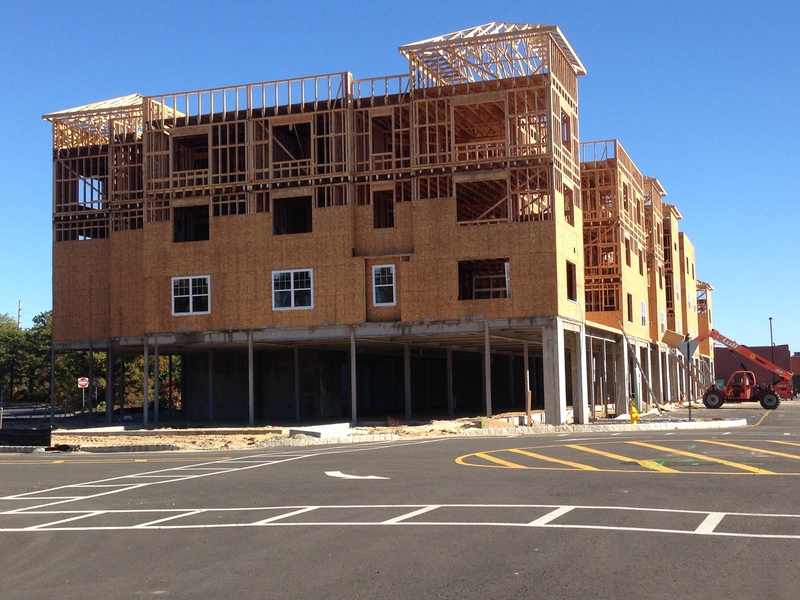 The Village Zone ordinance will affect dozens of properties on Herbertsville, Mantoloking and Drum Point roads, allowing apartments to be built on the second floor of commercial buildings. But Mayor John Ducey said the benefits of the ordinance outweigh the concern over new residential development. Simultaneous to the creation of the Village Zone, he said, the township will remove four major properties in town from what has been known as a the “mixed use overlay zone.” That zone includes the former Foodtown site on Route 70, the Riverwalk shopping center (also known as the Outback shopping plaza, after the restaurant there), the New Visions development behind the U.S. Post Office building, and what is commonly referred to as the “triangle lot” which abuts Route 88, Burrsville Road and Jack Martin Boulevard, where 92 apartments have been proposed. Large-scale residential development is currently allowed in all four of those spaces, however they will now revert back to their previous zones. For example, the triangle lot will no longer allow mixed use or residential development as it will be part of the Hospital Support Zone. Ducey described the three roadways that will be rezoned as a “mish-mosh” of residential and business uses. Now, he said, these uses will be legalized, and businesses with small apartments on top will no longer be forced to go through cost-prohibitive zoning board hearings to perform simple renovations or improvements. “We all know those three roads, right now, you have a house, then a store, then another house and two stores,” said Ducey. “There are a lot of places on these roads that want to improve their look,” he said, but cannot because of the process it would take – often involving the hiring of attorneys, engineers and architects, since mixed-use buildings are not allowed in a zone that is strictly cut out for either a business or residential use. The list of properties affected by the zoning change are included at the bottom of this article. The property owners have not, necessarily, been made aware of the changes. “Because this is called a re-examination of a master plan, notice is generally to be sent through the newspaper,” said Township Attorney Kevin Starkey. Ducey touted the zoning changes as a vehicle to improve the look of the three county-owned roads, even as some residents who commented on a previous Shorebeat article were skeptical of allowing mixed-use development. Ducey said the ordinance has sufficient safeguards against over-development, including a limit of two apartment units per business, regardless of the size of the commercial building. Even a large building would be limited to two residences, he said. At a planning board meeting in August, officials said the rezoning plan is aimed at redeveloping areas along the three major roadways similar to downtown areas of Red Bank, Asbury Park and Toms River. In recent years, studies have indicated that millennials have preferred to live in such settings versus the suburban landscape that characterizes most of Brick. The zone would permit apartment units to be developed “only in conjunction with a non-residential use or uses permitted in that zone.” Gas stations were specifically excluded from the Village Zone because of requests from the public to limit the proliferation of filling stations around town, officials said. The plan, now that is has been formally introduced by the council, will receive a planning board vote. If the planning board gives the OK, the ordinance will return to the council at its Oct. 9 meeting for a public hearing and final approval.